The Oregon Symphony will return to Newberg for an evening of classics, about two months earlier than their usual winter performance. The symphony, led by Norman Huynh, will return to George Fox University on Jan. 4 as part of a string of shows they are performing in the greater Portland area. The symphony is performing a handful of shows with renowned cellist Johannes Moser, who has been the artist in residency for the symphony for three years. The concert, titled "Favorite Light Classics," starts at 8 p.m. A limited number of free tickets are available at the Chehalem Valley Chamber of Commerce beginning Dec. 27. In addition to Huynh, the concert will feature James Shields on clarinet amd Chien Tan and Ines Volgar Belgique on violin. This is the 32nd time the symphony has performed in Newberg, and Huynh's third year as associate conductor. Natasha Kautsky, vice president of marketing and strategic engagement for the organization, said everyone in the audience will hear music they recognize in this show. Even those less familiar with classic music will recognize songs such as Gioachino Rossini's "William Tell" Overture and Bethoven's Fifth Symphony. "Oregon Symphony's world-class musicians are prominently featured in this program," she said. "Principal clarinet James Shields takes center stage for the lyrical Adagio from Mozart's Clarinet Concerto. Principal second violin Chien Tan and assistant principal second violin Inés Voglar team up for the last two movements of J. S. Bach's Double Violin Concerto." Moser will perform in Newberg on Jan. 8 at the Chehalem Cultural Center and will appear with the symphony for three nights in Portland as ambassador-at-large from Jan. 12-14. Last year, the symphony performed in Newberg in February, although they have played in the area around Christmas time in the past. Moser is the third artist in residency for the symphony. Over the course of a three-year tenue, he will return annually to perform with the orchestra. 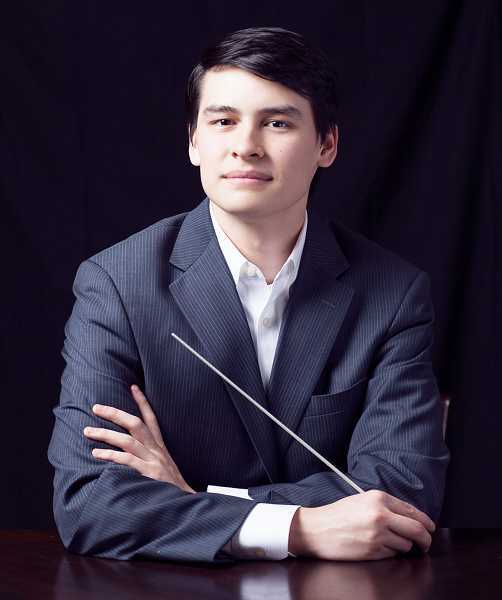 Held in the Bauman Auditorium, audiences can expect to hear classics from Beethoven and Bach to Mozart and Bernstein and Pachelbel's "Cannon in D."
Huynh has previously conducted the Baltimore Symphony, Toledo Symphony, Charlotte Symphony, Virginia Symphony, Macon Symphony, Peabody Symphony Orchestra and the Portland Symphony Orchestra of Maine. Moser has performed with orchestras around the world, from New York to Los Angeles and Chicago, to international orchestras in London, Berlin and Tokyo. In 2017, he won his third "Instrumentalist of the Year" award from the organization ECHO Klassik for a record he recorded. Since this past fall, Moser has toured and play extensively, including performances at the Hollywood Bowl with the Los Angeles Philharmonic; a tour with the New Zealand Symphony Orchestra and two nights with Royal Scottish National Orchestra. He will continue performing and touring well into 2019, with shows with the San Francisco Symphony and others planned out into the summer. Moser's Jan. 8 performance begins at 7 p.m., although doors open at 6:30 p.m. The show is in the CCC's grand ballroom. The show is free for CCC members and $5 Arts for All tickets are available at the door. Discounted prices are available for students and seniors. The Chehalem Cultural Center will host an exhibit of digital art by Lisa Zahler from Jan. 8 through March 23. The exhibit, titled "Abstractions in Pixels," manipulates and enhances ordinary photos into abstractions. The exhibit will be in the community gallery. The Chehalem Cultural Center will host a mixed media exhibit of works by artist Tim Timmerman and wood carvings by Stan Peterson. Titled "A Catalyst of Empathy," the exhibit runs Jan. 8 though Marc 2 in the Parish Gallery. Gallery Theater to host "It's Only a Play"
McMINNVILLE -- Gallery Theater will host the show "It's Only a Play," from Jan. 18 through Feb. 3 in the Arena Theater. The off-Broadway play by Terrence McNally is recommended for audiences 17 or older. Tickets for the nine performances are $18 for adults and $15 for students and seniors. Call 503-472-2227 or visit gallerytheater.org for tickets. On Jan. 19, tickets will be available for buy one, get one half off.